History Prof. Daniel Greene’s exhibit at the United States Holocaust Memorial Museum. The exhibit is a portrait of American society during the Holocaust. 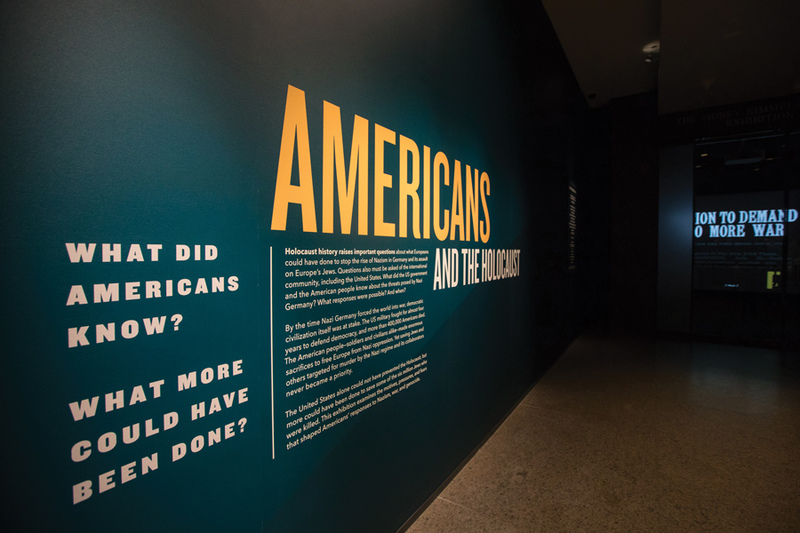 In his new exhibit at the United States Holocaust Memorial Museum, history Prof. Daniel Greene said he wanted to convey how the context of American society shaped the country’s response to the threat of Nazism. Americans and the Holocaust, the exhibition curated by Greene, opened Monday at the Washington, D.C., museum. Greene said it explores the factors that contributed to America’s attitude toward the Holocaust as it happened, including isolationism after World War I, the economic collapse of the Great Depression and anti-Semitism at home. He added that the exhibition raises difficult questions about America’s responsibility to the world in both historical and contemporary contexts, and it shows that the urgent questions faced by the country today have a specific history in the Holocaust. The gallery displays primary sources such as American media coverage on the rise of Nazism in 1933 from magazines such as Time, Vanity Fair and Cosmopolitan, as well as objects that belonged to refugees or Americans who rescued refugees, Greene said. He added that the exhibition took five years to put together. University President Morton Schapiro, faculty and students of Northwestern Hillel travelled to Washington, D.C., on April 16 to take an exclusive tour of the exhibit before it opened its doors to the public this week. “Professor Greene has made a monumental contribution to understanding the U.S. and understanding the Holocaust,” Schapiro said. Greene said he wanted to dispel the idea that Americans remained in the dark during the Holocaust when in reality, information on the murder and persecution of Jews was highly prevalent in U.S. media, politics and popular culture. Part of curation is making hard choices and considering how the story should be told to visitors moving through a limited space, Greene said. He decided to tell the American story chronologically to show “not only what Americans knew, but exactly when they knew it along the way,” he said. “We want people to ask, ‘If we had all that information, why didn’t the rescue of Jews become a priority?’” Greene said. Communication sophomore Avi Goldstein, who traveled to Washington with Hillel, had been a student in Greene’s “Holocaust Memory” class and said it was interesting to see the content Greene taught manifested in an exhibit. Goldstein said Greene did a particularly good job in contextualizing America’s lack of intervention during the Holocaust, and trying to understand American inaction without excusing it. She added that it is important to be aware of the contemporary echoes of the Holocaust.